The French President and Germany’s Angela Merkel are keen to revamp the euro zone. It’s hard for Macron to be a role model as long as France’s budget deficit is too big – and harder still given the pressure to cut taxes quickly. This fiscal dilemma is the euro zone’s problem. German Chancellor Angela Merkel said on July 13 she wanted to breathe new life into Franco-German relations, promising closer cooperation between the two European Union heavyweights with the aim of reforming the bloc. 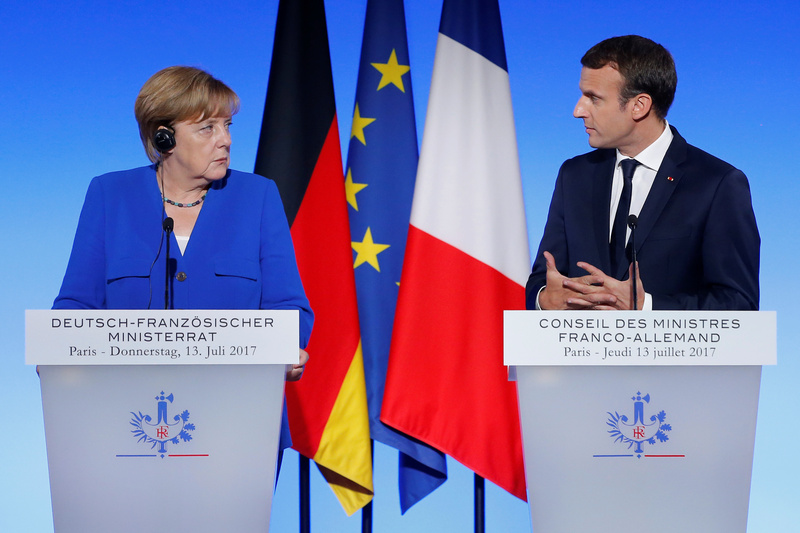 “I believe that we have shown shortly after the new government here was installed that we are ready to activate Franco-German relations with a new impetus,” Merkel said during a joint news conference with French President Emmanuel Macron after a joint Franco-German cabinet meeting.